The Pima Accommodation District, a program of thePima County School Superintendent's Office, provides educational services through the Court Alternative Program of Education (CAPE) schools to the Pima County Juvenile Detention Center and the Pima County Adult Detention Center. This is a cooperative effort between the Pima County Juvenile Court Center, the Pima County Sheriff’s Department, and the Pima Accommodation District. These services are provided by CAPE to fulfill the state requirement that county juvenile courts work in cooperation with their county school superintendent to establish an educational program for minors held in juvenile detention facilities. Dustin Williams, the Pima County School Superintendent, serves as the governing board. Shelly Duran is the Pima Accommodation District Principal. 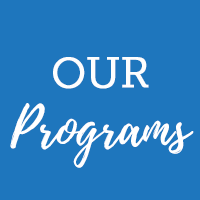 The CAPE schools’ mission is to create a challenging and rewarding curriculum for all students transitioning through the juvenile court and jail detention facilities. This mission encompasses the ideas of fostering positive choices, problem-solving, critical thinking skills, accountability, respectful boundaries, communication, socialization, and personal growth in a safe, secure environment. The CAPE schools encourage ideas and opportunities for personal growth as well as assisting students in achieving success in the world of school and work. The schools are dedicated to providing an education for all their students so that they have a strong foundation for success. The schools comply with federal Individuals with Disabilities Education Act (IDEA) and Arizona Department of Education requirements. Core subjects are taught on a daily basis. The Majority of this is done through an online computerized curriculum called A+LS. The curriculum is distributed through Backbone Communication and fulfills the needs of our diverse student population that CAPE serves. Instructors are an integral part of curriculum development and materials are aligned with College and Career Readiness standards. Much of the curriculum is based on twelve individual weeks where Life Skills are taught. Physical Education is also a part of the daily curriculum and ensures that every student is receiving adequate and meaningful exercise. If you have a child in the Detention Center and have questions or concerns regarding CAPE, please call 520-724-4724. CAPE classes are divided by middle school and high school ages. The school programs are uniquely designed for the individual needs of students. All students are assessed academically and placed in individualized education curriculum that is tailored to meet their needs and ensure the continuation of their educational services with minimum interruption. All entering students are administered the A+ Learning Link within 48 hours of their arrival in the Detention Center. A+ Learning Link is a valid and reliable formative assessment that measures a student’s existing knowledge, comprehension, and mastery of basic skills in language arts and mathematics for grades one through eight. The tests and results are calibrated to the Lexile Framework® for Reading and the Quantile Framework® for Mathematics and are aligned to state standards and objectives. CAPE offers a low student to staff ratio in order to ensure that every student individualized assistance. Due to the constantly changing population of the Detention Center, CAPE is an open entry/open exit program. For those students who qualify, CAPE offers the GED® test to earn a High School Equivalency (HSE) diploma. Students take the test on a computer at our authorized testing center. To qualify, a student must have parental and court permission to take the GED® exam. CAPE administers a Pre-GED examination to determine eligibility and offers preparation for the exam. CAPE has an authorized GED® examiner on staff. Designate your AZ School Tax Credit to the Pima Accommodation District! You can help enhance the educational opportunities for the students in the Juvenile Detention and Adult Detention Centers with your Arizona public school tax credit contributions.